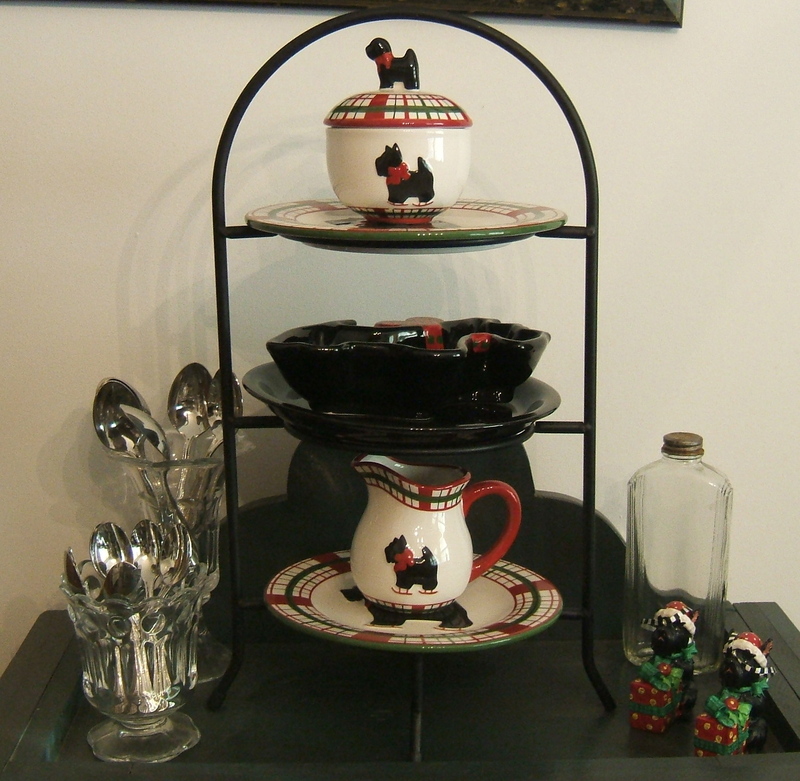 For several years I’ve received as gifts various pieces from the Skating Scotties pattern by Global Design Connections by Kate Williams. When I saw the salad plates this year at Home Goods, I scooped them right up. 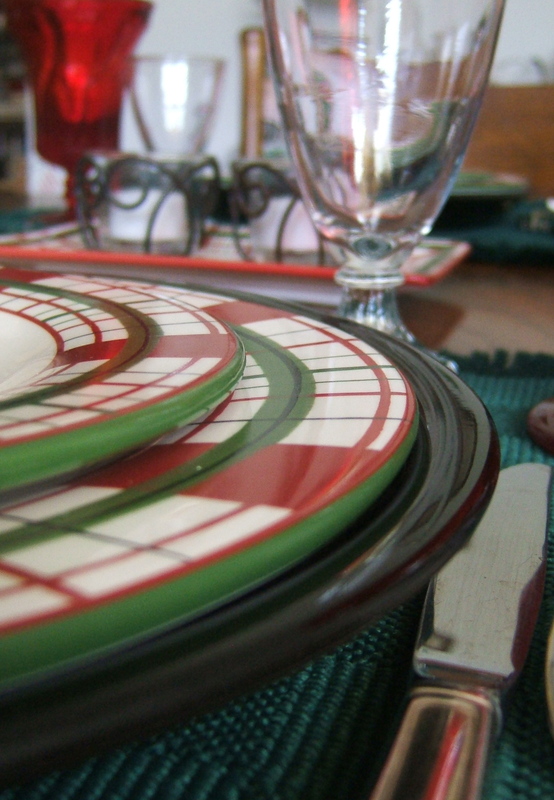 Then my daughter found the dinner plates at her Home Goods and a tablescape was born. I really like this pattern because it can be used throughout the winter and not just at Christmas time. 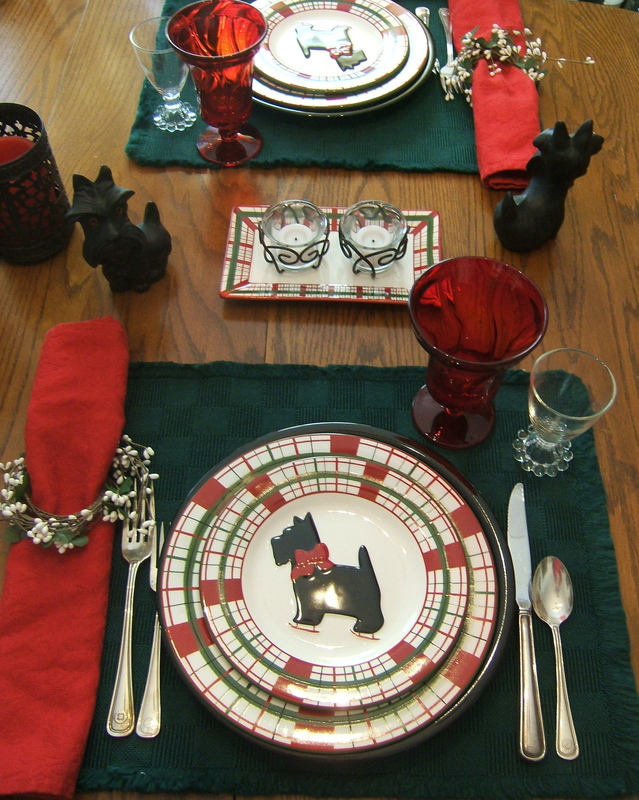 I placed the plates on deep green thrifted placemats and fully intended to do a table setting for four. Somehow I misplaced the extra placemats between getting them from their storage spot and putting them on the table. So a table for two is what you see instead. Do you ever do that? Of course as soon as I’d taken these photos, what did I find? Yeah, the other placemats. It’s Murphy’s Law my friends. I’ve used red napkins which I have had for ages (although I don’t think they qualify as vintage just yet) and the napkin rings my friend “S” gifted me with after one of our thrifting adventures. I am using the Boopie glasses which were gifted by “S”. She also gave me the heads up about the Ruby Red Glasses which she found in one of our favorite thrift shops and told me about. In the final plate stack it’s hard to see, but the stack starts with a thrifted black plate. 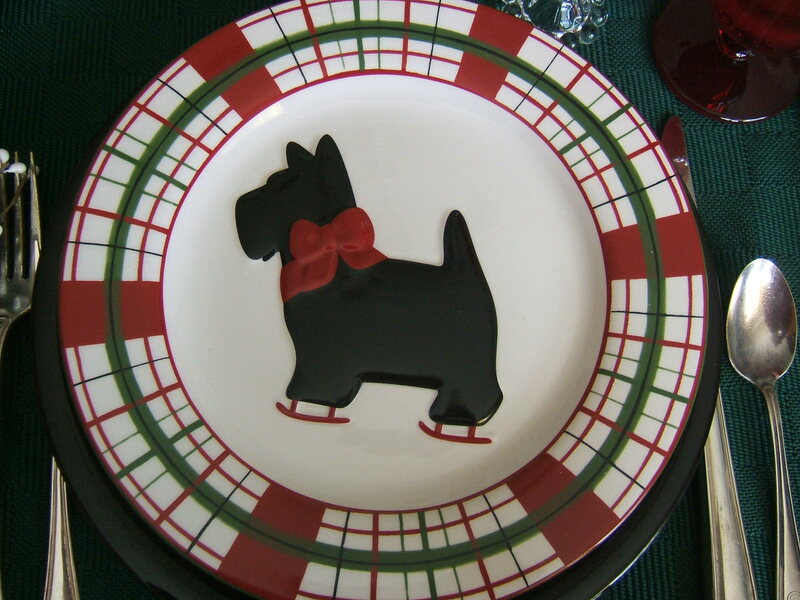 Then I added the Skating Scotties dinner plate. 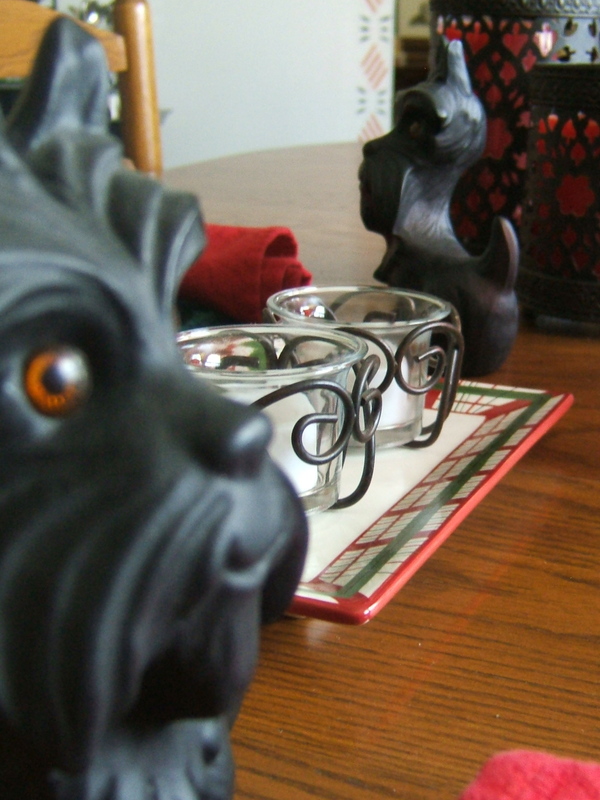 You can see the ceramic Scotties I bought at a hospital thrift shop after being alerted to their presence by Amy T. They are keeping watch over this setting. It almost looks like that Scottie is keeping a watch on YOU, too, doesn’t it? 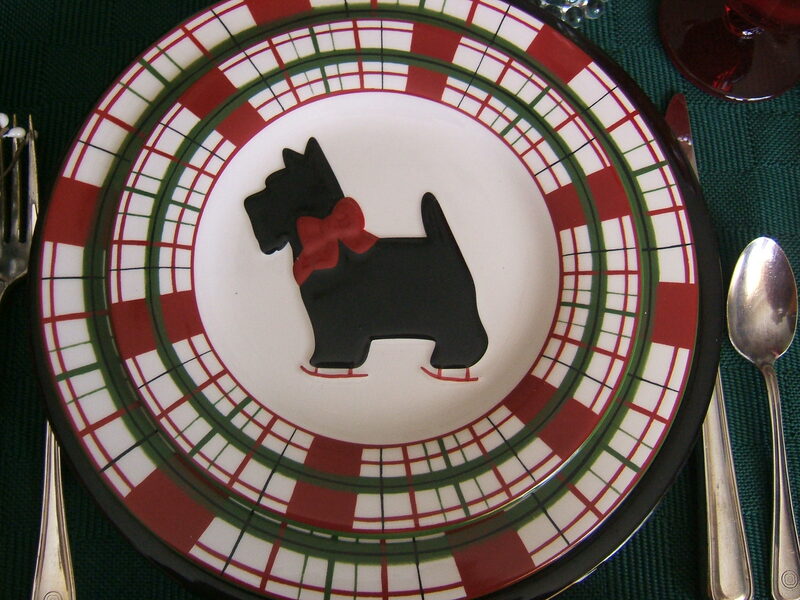 You can also see the Skating Scotties butter dish plate (without its lid) in the picture above. 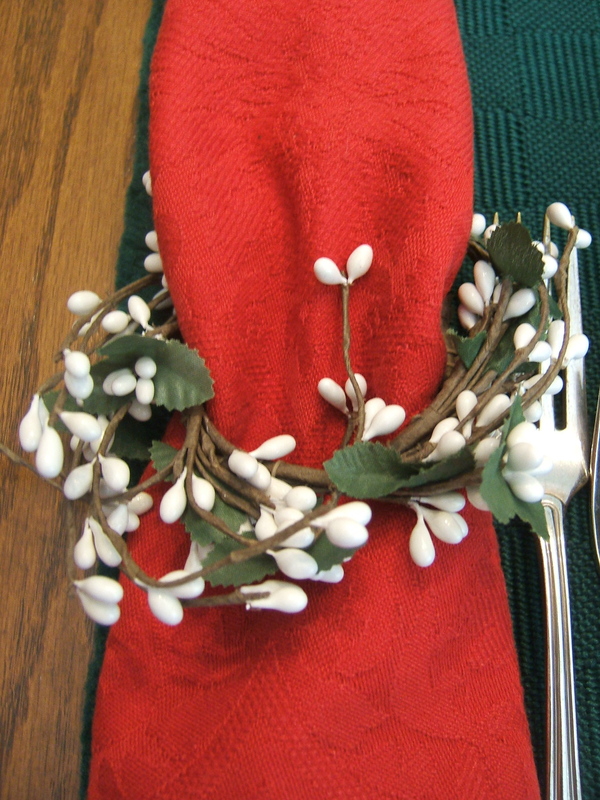 It is holding Southern Living at Home votives found at the same yard sale “S” found the napkin rings. This pattern is so much fun. I’m so fortunate to have several other pieces to enjoy, including a covered candy dish, a teapot for one, some soup bowls, a creamer and pitcher. Here are a few photos which include some of these other pieces as I’ve used them this season. 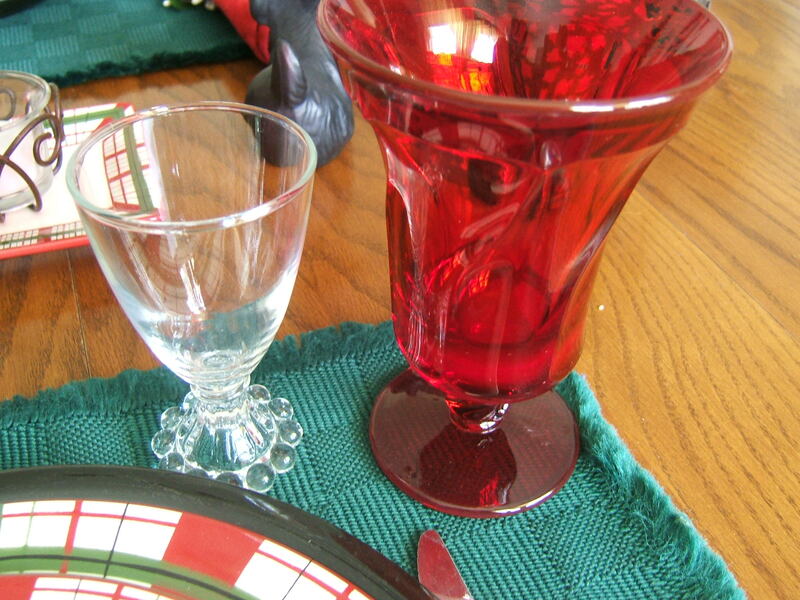 This vintage Christmas table cloth is a thrift find. The pewter coffee set was my mother’s. 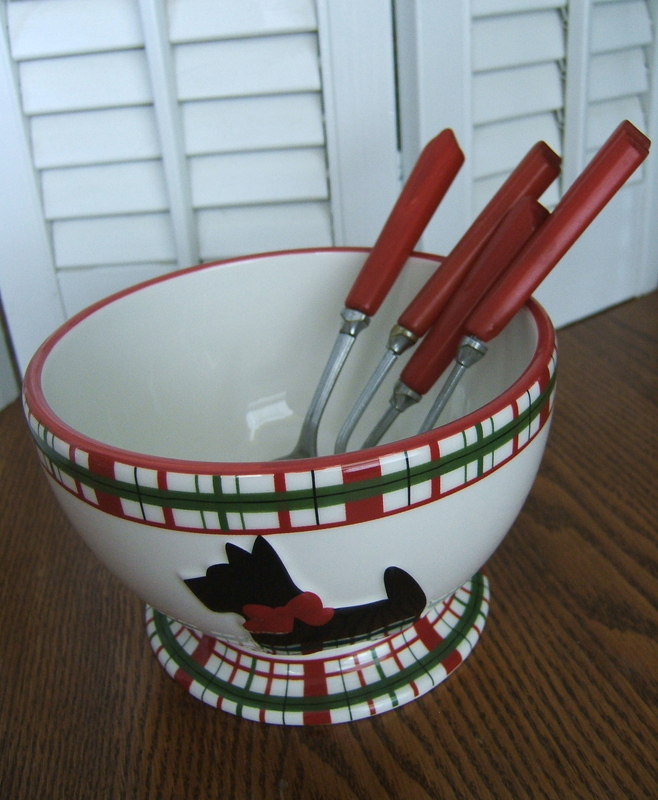 Here is a close up view of the adorable Skating Scotties bowl. A co-worker gifted me with this bowl; thanks BZ! The red-handled bakelite spoons were from a recent yard sale; they were in the Free section of the sale. They were packaged in an old cardboard spice box with only the metal portions showing so I didn’t see the handles until I left the sale. I think I squealed a little bit when I saw those handles and realized they were most likely bakelite! And they were Free! I hope to do a post soon to show you the other Free items I got at this sale. I will probably not post again before the holidays, so I wish you all a very Merry Christmas and a Happy New Year! I hope you enjoyed the Skating Scotties. Happy Holidays to all! I hope to join the parties at Flea Market Finds at Her Library Adventures, Apron Thrift Girl’s Thrift Share Monday, Knick of Time’s Knick of Time Tuesday, Nifty Thrifty Tuesdays at Coastal Charm, Thrifty Thursday at Tales from Bloggeritaville, Thrifty Things Friday at The Thrifty Groove, and The Penny Worthy Project at Hey, What’s for Dinner Mom?, A Stroll Thru Life for Tabletop Tuesday, and Between Naps on the Porch for Tablescape Thursday. This entry was posted in Dishes, Garage Sales, Linens, Pewter, Scotties, Silver, Tablescaping, Tea Set, Thrifting, Uncategorized, Vintage, Yard Sales. Bookmark the permalink. Those dishes are great. I’ve never seen specialty dishes like that. I really love the tablecloth! That’s a treasure. Those dishes are adorable, I love your table setting! There is a lady in our antique mall that has a lot of Scottie dog stuff and I always think of you when I pass by her booth. Hope you have a very Merry Christmas! Wow – that looks rather like a professional display in a shop! Scotties are cute! oh my do I love scottie dogs!!! they are so cute! I wish I had those dishes! Absolutely adorable! 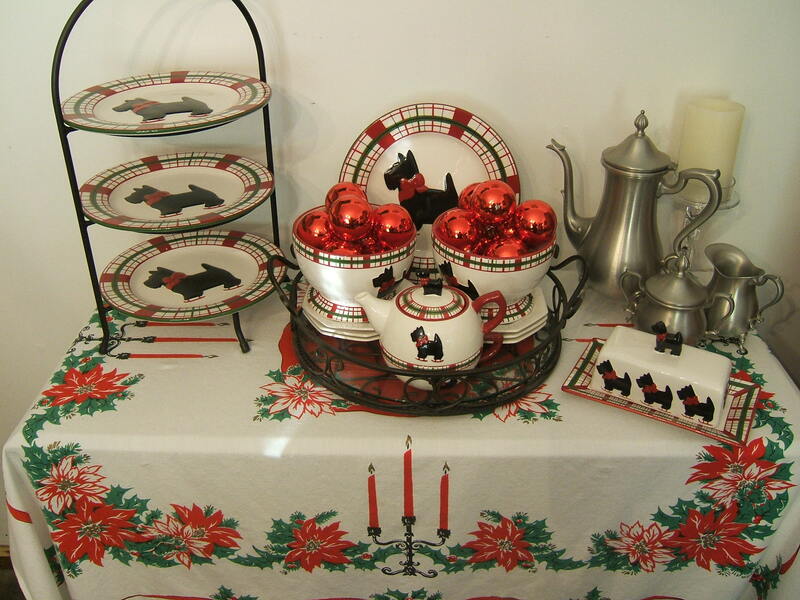 It all looks so festive and I love the pewter set that was your mothers! Soo festive!!! I love it! The red Christmas balls are a fantastic addition. As always beautiful and inspiring! Hello Tammy, thanks for stopping by my blog and leaving a lovely comment – you have wonderful things on your blog, and a great eye! Merry Christmas to you and yours, Tammy. Love your table. 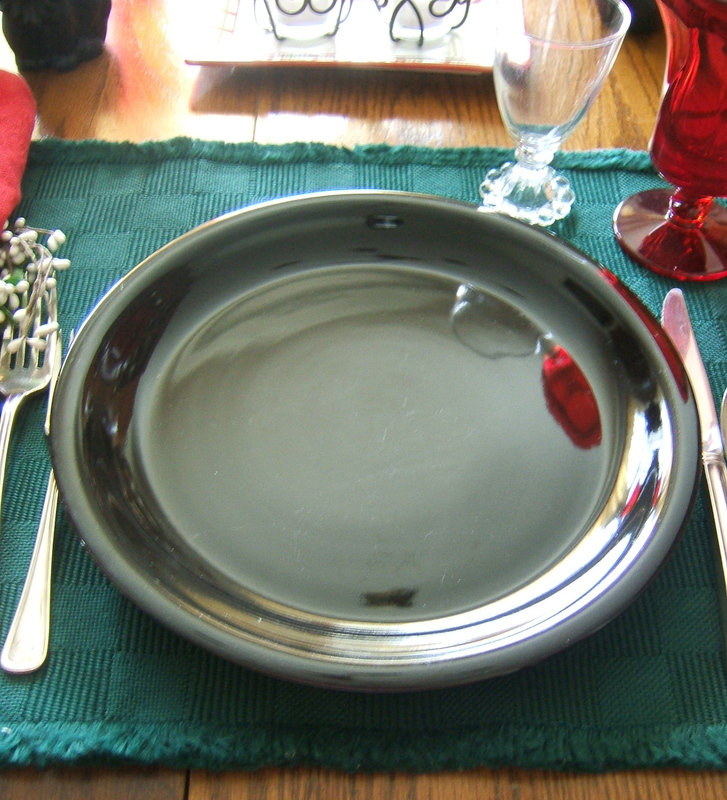 I too bought those darling scotty plates and did a table for a Christmas dinner at Church. Everyone loved them. They are just darling and I love what you did yours. Saw you at Tablescape Thursday and it beckoned me here. I’m a brand new blogger of only a month and would love to have you drop by. VERY cute, I love how this turned out and the dishes are adorable! I adore those dishes! I saw many pieces of that last year at Marshalls and I still regret not buying them!! 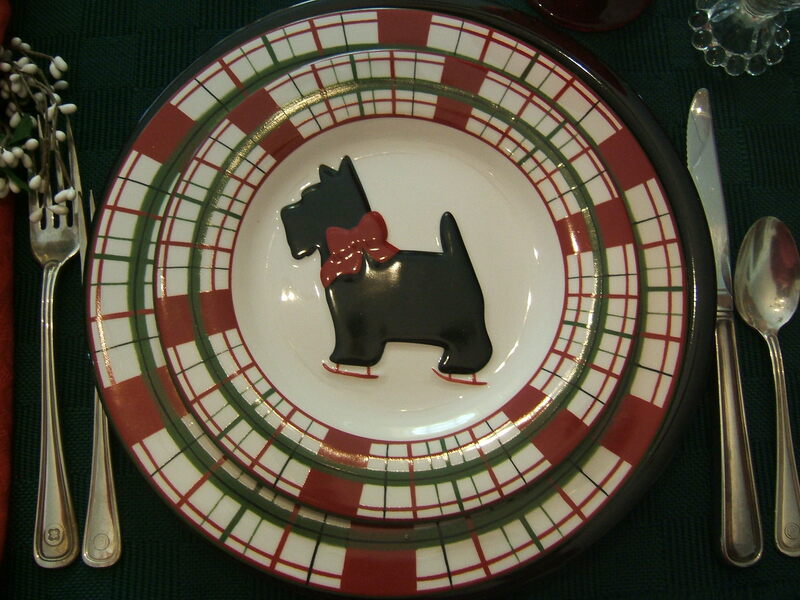 I love those Scottie plates Tammy. Wonderful table and vignettes! Skating Scotties….so incredibly cute!!!!!! I really like that pattern! You have a wonderful collection, and I’m sure you will enjoy them for many, many years to come! The flatware is gorgeous, too. It looks vintage. Merry Christmas to you and your family. Have a safe weekend! Coming by to wish you and your family a very MERRY CHRISTMAS! Wow! What an amazing collection and such a festive tablescape. I like them displayed on the wall too. Those dishes are so adorable! I love them! The whole tablescape looks great! Thank you for joining last week’s TTF and I hope you are enjoying the last few days of 2011! What a cheery tablescape! What a treat to sit at your table! I want to thank you, too, for your generous and thoughtful comment on my blog post about “A Christmas Tea for Lucas”. For my husband and I, it’s what Christmas is all about and it was certainly the highlight of the season, if not the entire year, for us. I really do appreciate your taking time today to stop by and say, “Hello”. Tammy, I love that pattern! 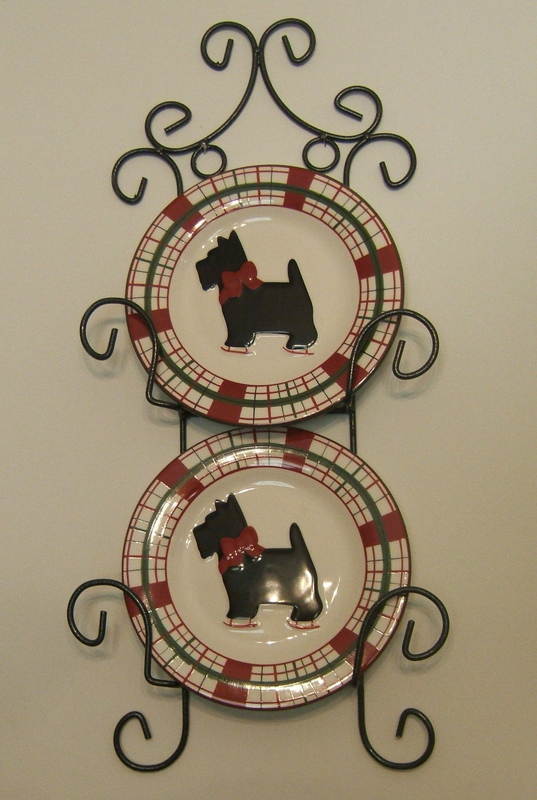 I’m so drawn to anything Scottie – I’ve never had a Scottie, nevertheless, I love them. Happy New Year to you! Hi Tammy, Thank you for your comments at Suppers, Youngans, & Thangs. I came to give you a visit, and WOW! I love your blog. I also have a dish weakness. My grandmother worked at Blue Ridge Pottery during WWII. I am guessing being the dish girl you are you know what I am talking about. I am planning on doing a post about some of the pieces I have. I am going to join your blog. Hope to see you over at Suppers, Youngans, and Thangs again.